We start with fresh milk and cream from Farmer's Cow (a group of six family-owned farms in CT) and eggs from Soffer Farms in Branford, CT. And then we select only the highest quality, freshest, local, in-season ingredients. 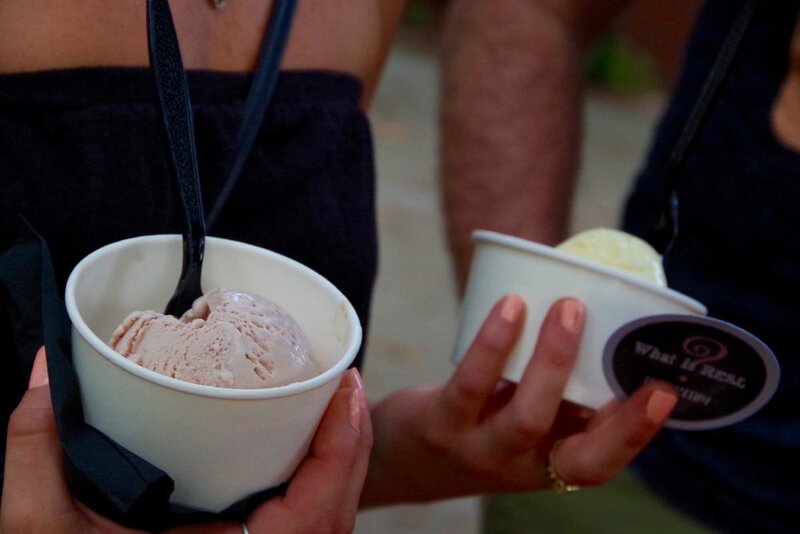 Each scoop is churned in small batches to deliver exceptional texture and flavor, without the use of any gums, stabilizers, preservatives, or artificial colors and flavors found in most ice creams today. Our fresh ingredients are locally sourced when possible and always in-season. That means mint in spring, strawberry in summer, and pear in fall and winter. When not available locally, we search for the highest quality ingredients, such as Nielsen-Massey vanilla paste and Valrhona chocolate. Vanilla for people who aren't "vanilla"
Made with only the purest ingredients and Nielsen-Massey vanilla bean paste, made from Madagascar vanilla beans straight out of the pod . A result of a serendipitous accident, this flavour suspends freshly ground roasted beans throughout the cream to add bold intensity. How can it be? Yummy banana ice cream WITHOUT any artificial banana flavouring? Turns out the key is roasting and caramelizing the bananas to perfection. 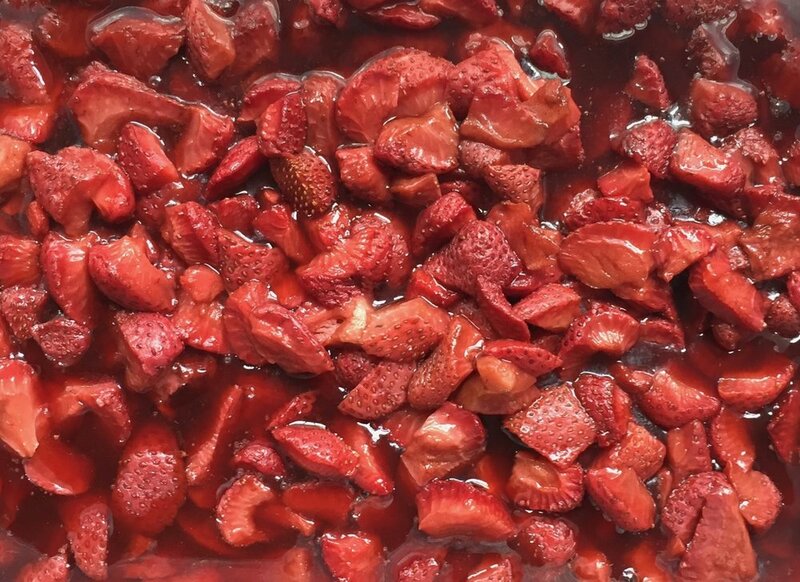 Roasted with a touch of balsamic vinegar, the strawberries shine with lustre in this flavour. Toasted with sugar, butter, and curry powder, the pecans in this Butter Pecan flavour leave you smacking your lips for more. Crack cocaine? No, just peach preserves combined with a generous teaspoon of salt is all you need to make this flavour unforgivingly addictive. Over two years in development, you won't easily forget this one - a full-bodied pear flavour with a cinnamon finish. For those mint chocolate chip lovers who don't need any artificial green food coloring or toothpaste mint flavoring.